Will Cleo overcome her own struggles, empower Eve to stand against this traditional practice and stop women's unnecessary suffering? A fight for love, hope and acceptance in a culture where a 'gift' can bear the ultimate price. Played by an all-female cast, this piece shines a light on a violent act nested in our society which is a transgression of human/women/children's rights. 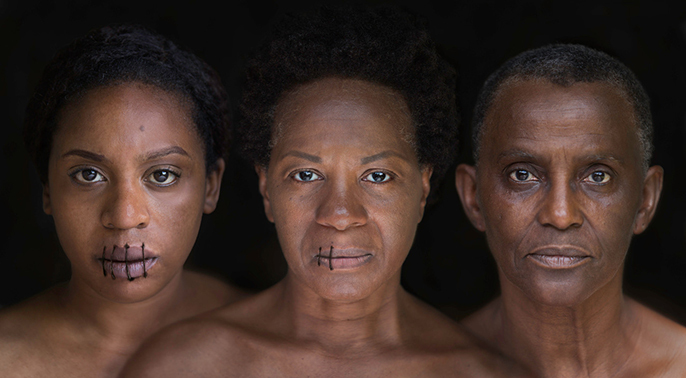 The show is also connected to a free Anti FGM portrait exhibition presented at Park Theatre (Sep to Nov).